The Majority in Parliament has accused the Minority spokesperson on Foreign Affairs, Sam Okudzeto Ablakwa of misconduct alleging he has been leaking essential information to the press. 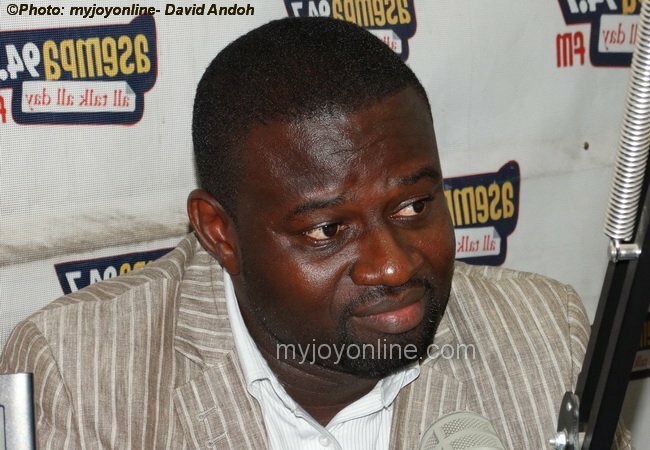 Chairman of the Foreign Affairs committee, Frank Annoh Dompreh said the behaviour of the North Tongu MP is unfortunate especially when the reputation of the sovereign state is at stake. Hinting at what the Majority would do about the situation, Mr. Annoh Dompreh said they will contain the legislator across the aisle. “We will manage him,” he said, adding, leaking of essential information on social media and to the press is not in the best interest of Parliament. Speaking on the Norway embassy deal which Mr. Ablakwa flagged as a stinking deal earlier this week, the Vice Chair of the Committee, Kwaku Ampratwum-Sarpong rebuffed the figures presented by the opposition MP. Ablakwa had claimed that the government intended to purchase a building which was put up for sale in August 2017 for $3.5 million at a ballooned price of $12 million. According to Mr. Ampratwum-Sarpong, the building in question was on sale in 2016 for $11 million. However, the government has also said it has no intention of purchasing the building. Foreign Minister, Shirley Ayorkor Botchwey said she only expressed interest, insisting in a press release that her Ministry “has not signed any agreement to purchase the said properties”. Responding to the Majority MP, Okudzeto Ablakwa said he is just being vigilant in his work and if the Majority believes he is a nuisance, then they should expect more nuisance. “I will continue to be more vigilant,” he told Joy FM’s Joseph Opoku Gakpo on the midday news.